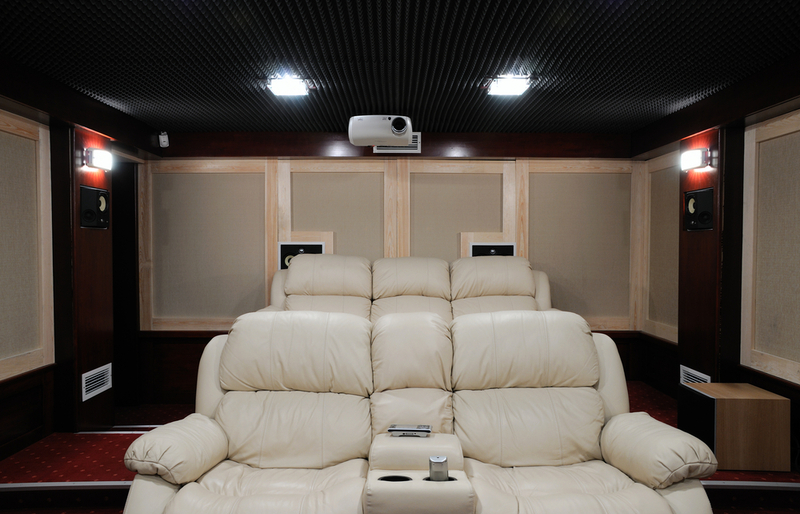 A home theater system, no matter how good it is, functions best when placed in a good location. Whether it’s the garage, basement, attic, or spare bedroom, you can turn any room into that home theater you’ve always desired – by simply following a few guidelines. Dark, dingy basements are a thing of the past. Nowadays, many homeowners transform their basements into incredible entertainment spaces. Basements have few or no windows – which is perfect for when you need to darken the room to create theater-like viewing. Also, basements usually have concrete walls and floors, which is best for sound containment; concrete materials don’t transmit sound vibrations as much as hardwood floors do. Most basements are prone to water leakage. And the last thing you want is water ruining your home entertainment systems. Moisture can usually be contained with a dehumidifier. Before you remodel your basement, observe it through heavy rainstorms and keep an eye on water seepage. If you have minor, sporadic leaks, you can use water sealers. If your basement has substantial leaks, take steps to waterproof it. A sump pump, which is essentially a hole in your basement floor that pumps the excess water up, should help tremendously for major issues. You should review your local plumbing codes first before installing a sump pump. If there are heating/cooling ducts running throughout the space, you can move, expose, or box them out. Depending on how the ducts function, you can integrate it into remodeling your basement. It can get rather stuffy in the basement, and it might ruin your home theatre systems, so make sure your space has proper ventilation. Floor vents, heating and cooling systems, footsteps from the ceiling – you want a good amount of sound isolation in your basement. There’s a number of soundproofing methods you can do to achieve sound isolation – some require professional help, and some you can do on your own. One easy way is to seal all possible openings – every crack, hole, and gap. You can fill them with adhesive instead of nails or screws. Adding heavy curtains, drapes, blinds, and carpeting can help tremendously as well. Depending on how far you want to take your soundproofing, hiring a specialist who uses a variety of techniques to reduce sound transmission is a viable option. Refer to building, electrical, and plumbing codes in your jurisdiction before you take on any basement remodeling projects. Check with your city hall if you need to complete any paperwork for construction work. Also, you might have to abide by inspections to ensure that you are following building and safety codes. 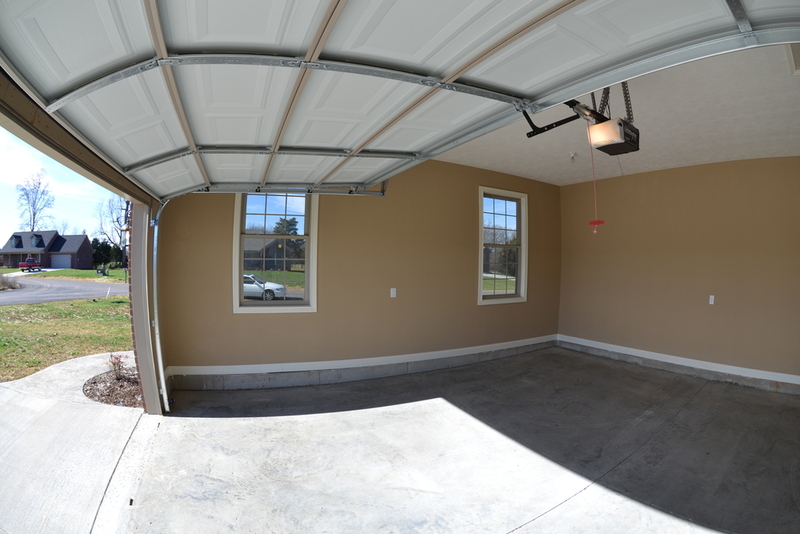 Most homeowners don’t put their cars in the garage – all that space is just being used as storage. Half the things you keep in there might need to go anyway. Reclaim your messy garage and turn it into a home theater room. Whether it’s getting rid of unnecessary stuff, having a garage sale, donating items to charity, or figuring out a new storage solution, cleaning out the garage is the first step to its transformation. Same with building a home theatre in your basement, it’s best to check with your local building or zoning authority if you need any permits or licenses. If you’re not expanding your space by adding extra footage, you probably wouldn’t need any permit. A garage door isn’t designed with an air seal, and if you want a home theater, you will want to close every opening in the room. Some garage door conversion options are: interior expansion, wall in the garage, insulation strips on edges, or acoustic panels for door interior. Decide if you want to wall it in or keep it. Permanently walling in the garage will help in energy efficiency. This is also the first step to soundproofing and insulating the space. Aside from the standard insulation in the walls you should do to ensure that the room stays warm and comfortable, additional sound barrier insulation contribute to theater-like viewing. Concrete garage floors don’t work with a home theater. You might need to consult a flooring expert to refinish the floors. You also want to prevent sound from bouncing off the walls. A few solutions to address this is carpeting, installing an insulated raised floor, or using insulating boards or heavy foam. If the walls are made with cement blocks, cover them with drywall and add sound panels. Permanently remodeling your garage may lower the value of your home. If you decide to relocate and sell your house, not having a functioning garage space (even though it’s been transformed into an awesome home theater) may turn off buyers. Keep this in mind before tackling on this project. The angled walls and sloped ceilings of an attic make for a cozy and comfortable home theater location in the house. If you have an ample space in the attic, a home theater or media room is a great remodeling idea. Make sure that the structure of your attic is strong enough to support any additional weight you will put in it. The ceiling may need to be reinforced or reframed to provide extra support. Consult with an architect or building expert to ensure that you are complying with building codes. Typically, attics are short on ceiling height. The ceiling should at least be 3 meters high. You’ll be adding a large screen, seating, and a sound system, so make sure you can house all this equipment comfortably. Adding a dormer for extra ceiling height is an option. When you calculate how much height you need, consider how thick the added materials will be so you can measure headspace correctly. Attics are usually right over somebody’s room, so the floors should have insulation and thick carpet with foam pad. If you have hardwood floors, you will need home theater area rugs strategically placed around the room to help absorb the sound waves. Home theater carpets and rugs can provide a layer of sound absorption to the room. Adding drywalls and other sound insulation materials can help control the noise. Staircases and doorways should be big enough – not just to fit home theater furniture through, but also to safely move people up and down. Standard building codes require that an attic bedroom should have at least two exits. For your attic to be an effective living space, the “pull-down” attic ladder wouldn’t work anymore, so you might need to build a proper stairway. Check all ventilation, heating, cooling, and electrical wiring conditions of the attic. Usually, professional help is needed to address these issues. Whether it’s the upstairs spare bedroom or the downstairs living room, these existing spaces in the house can be easily remodeled into a home theater. Aside from the main things you should consider – like the layout and size of the room, HVAC configurations, soundproofing, A/V equipment placement, and lighting control, choosing between the top and bottom level is ultimately a matter of personal preference. If you choose to build your home theater or game room on the ground floor of your house, there’s the advantage of being close to the kitchen – you can promptly offer snacks and refreshments to your guests. The second floor, meanwhile, offers less traffic and less noise in the house, so it is most likely that your movie-viewing or game-playing sessions will remain undisturbed (and you don’t disturb other, too).